The Baby ice bucket is currently the smallest ice bucket in the world! 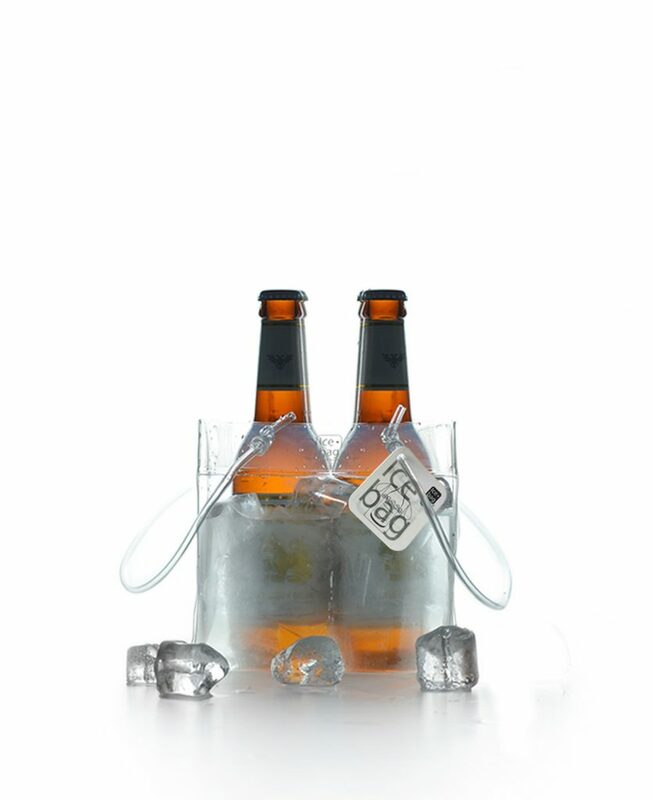 Pretty and fun, it permit to cool a can or a bottle of 1/4 format. 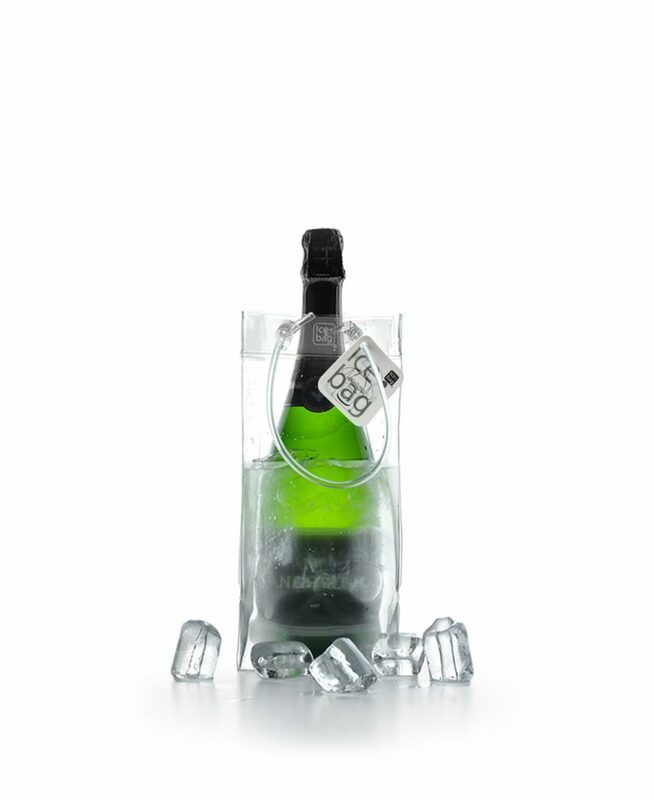 Classic Ice.bag® with luxurious mat colors : black, white, gold and silver. 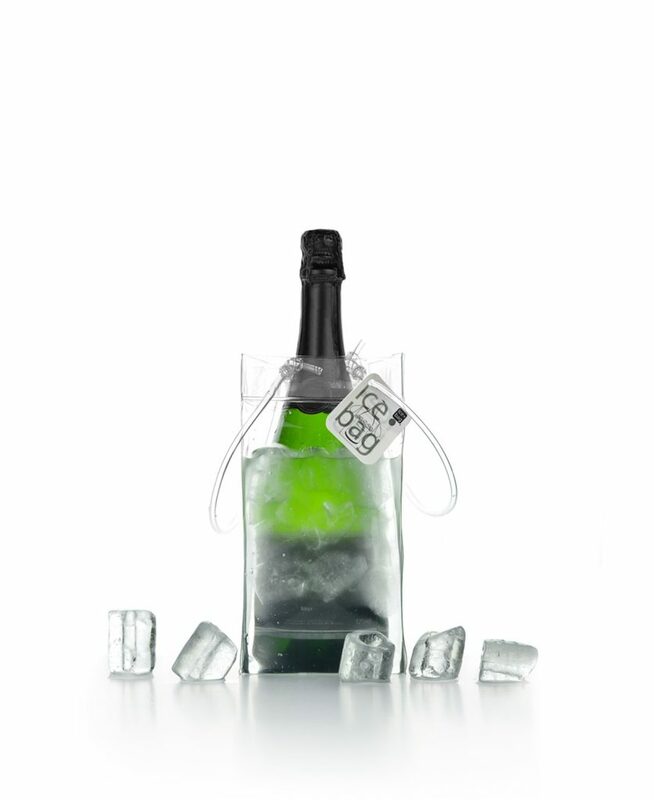 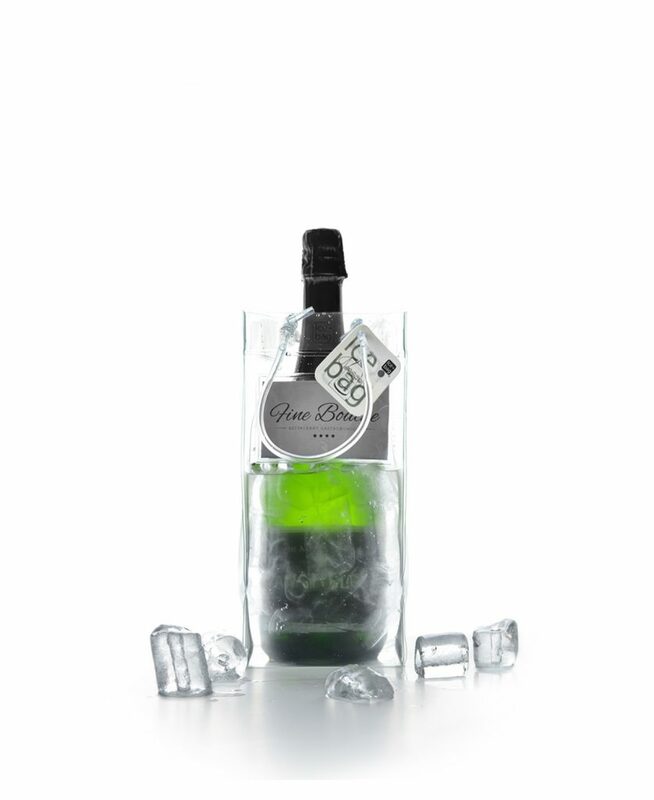 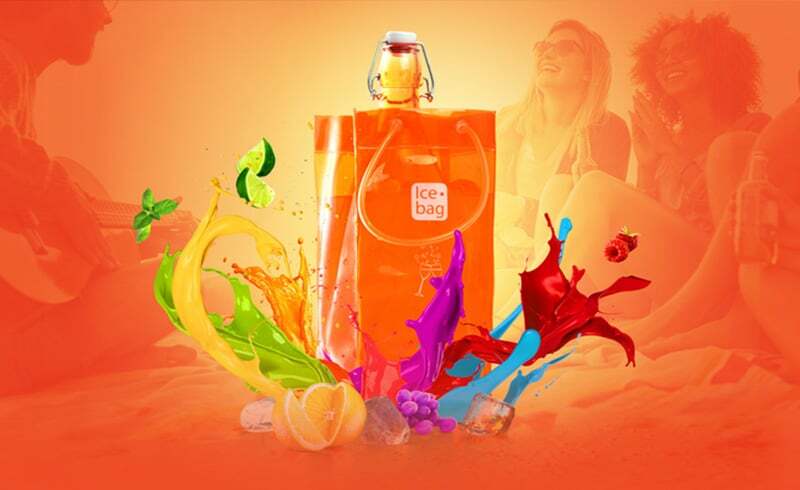 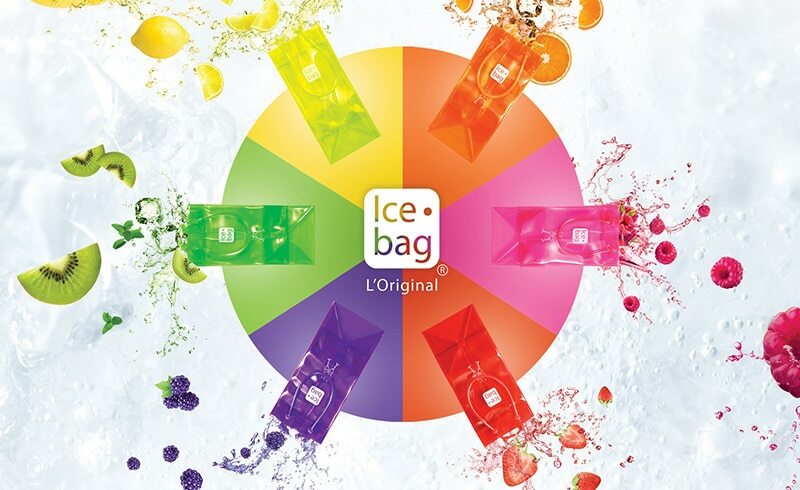 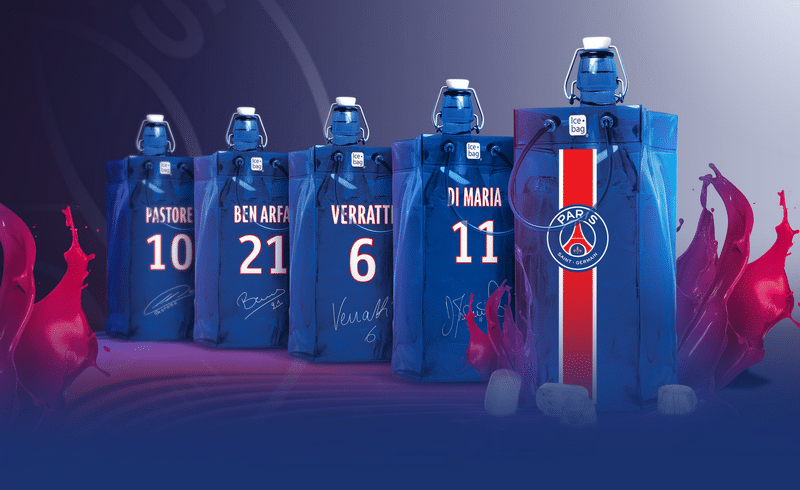 Ice.bag® enable you to refresh your bottle in only 15 minutes with cold water and ice ! 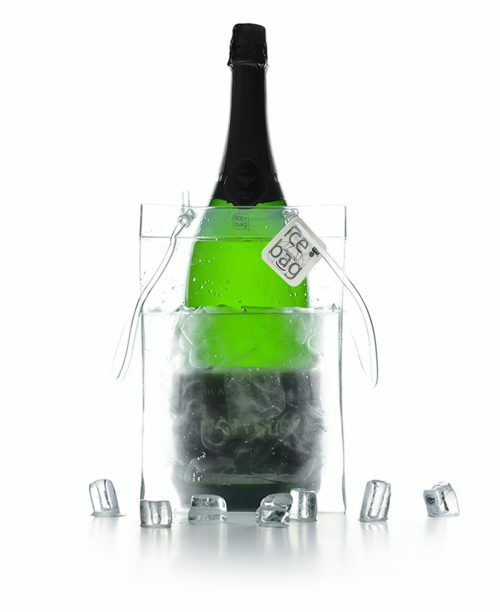 Nomad and reusable, it’s the trendy and irreplaceable wine cooler. 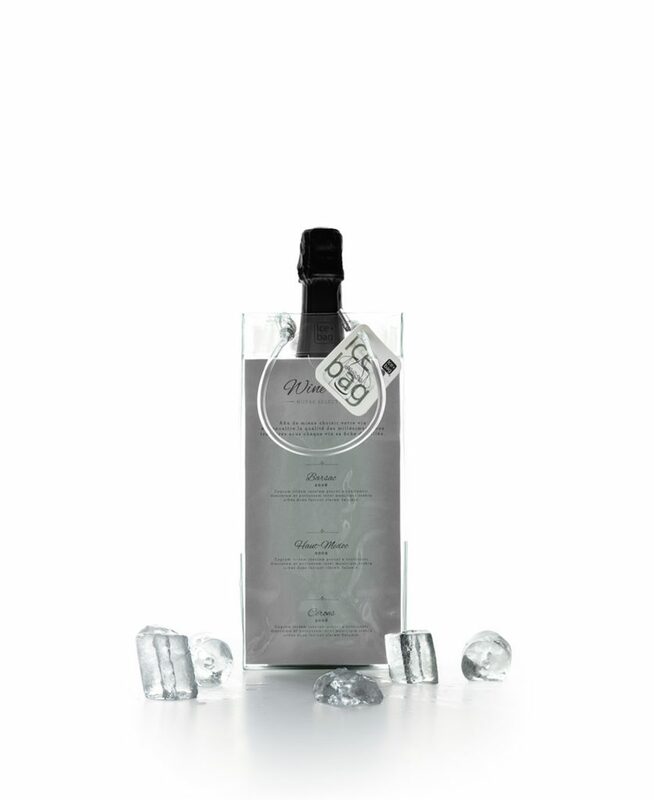 Individual commercial packaging with bar code and notice of use in 5 languages, 4 available models. 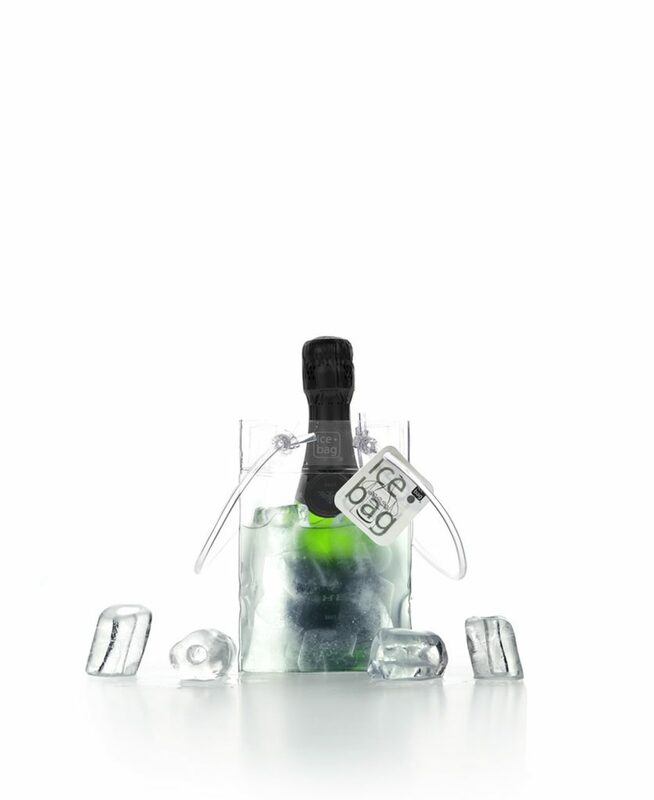 This model is customizable thanks to its original « business » pocket that allows to insert a business card. 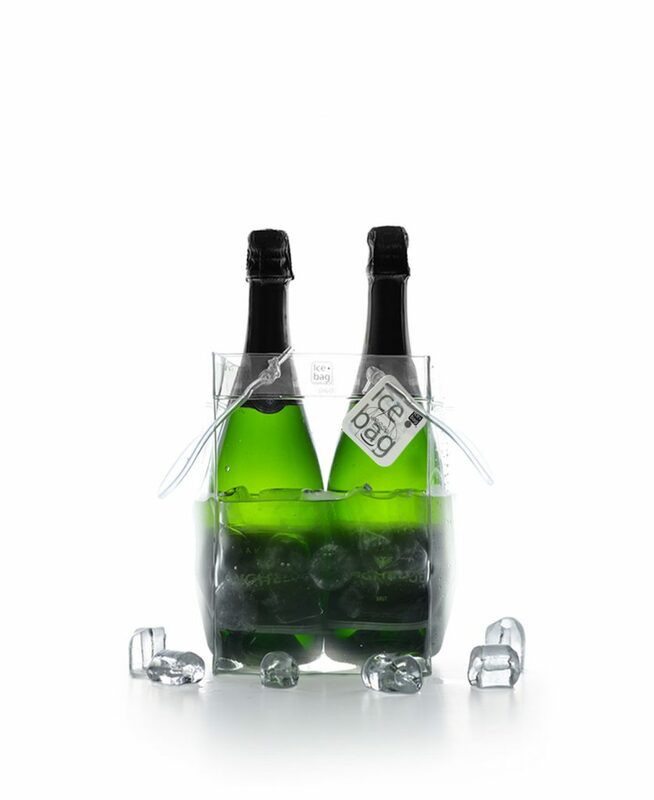 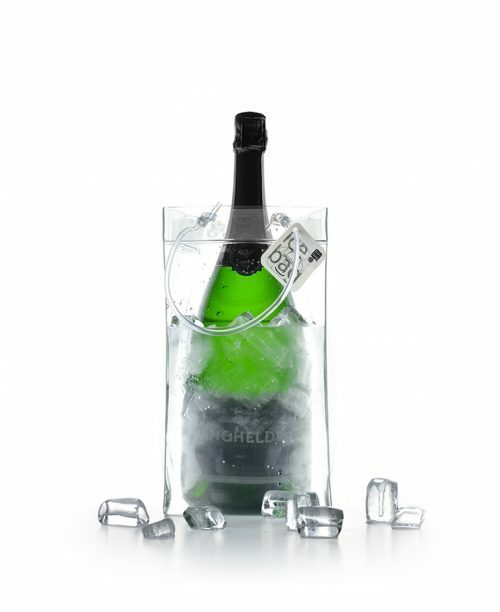 Based on the King Size model created in 2008, the Mini King model is smaller of 6,5cm, which makes it to a traditional ice bucket. Very reliable, it is perfect to refresh up to 2 bottles of 75 cl and 1 Magnum. 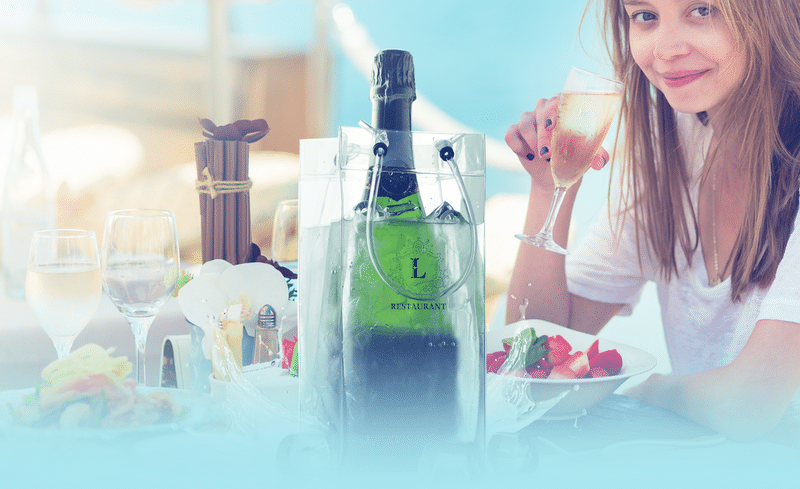 Its other asset is its handles places on the sides instead of the faces, which ensures more space on tables.